ABSOLUTELY STUNNING PATIO HOME! Bob Webb former model. Private gated community close to Arlington. 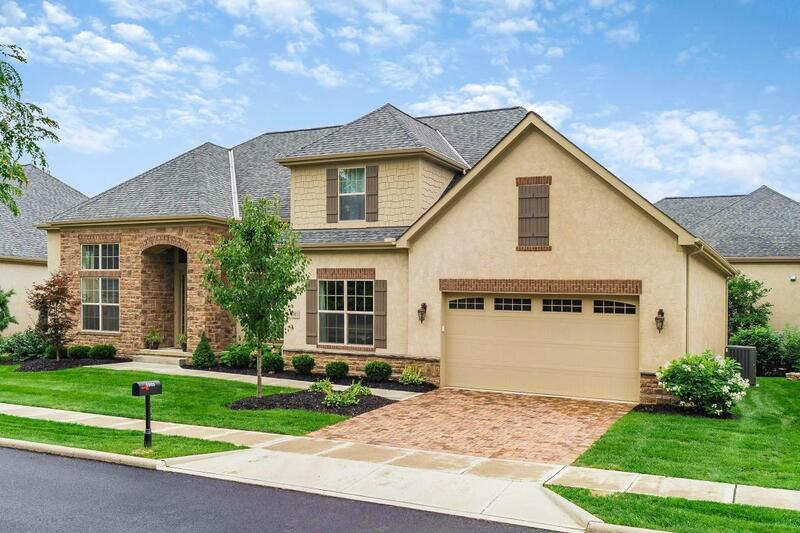 Enormous open Great Room, Dining, and Kitchen, with high coffered ceilings. Light & Bright w/loads of windows! Wide woodwork, Cherry hardwood floors. Huge granite kitchen & breakfast area. Massive center island granite eating bar. Stainless steel appliances w/wall oven AND gas range, Walk-in pantry. Lg First floor master, bath has huge shower. W/I closet w/entrance to laundry room. Den/ or Inlaw suite on first floor w/full bath. Upper level has 2 lg bedrms, Jack/Jill bath. FULL bsmt w/high ceilings, egress window for bdrm & plumbed for bath and wet bar. 12x14 stamped concrete covered back porch w/cedar ceiling. +Lg patio. Private backyd. Grass cutting & snow removal included.